Image Access has a busy and productive week in the Big Easy! 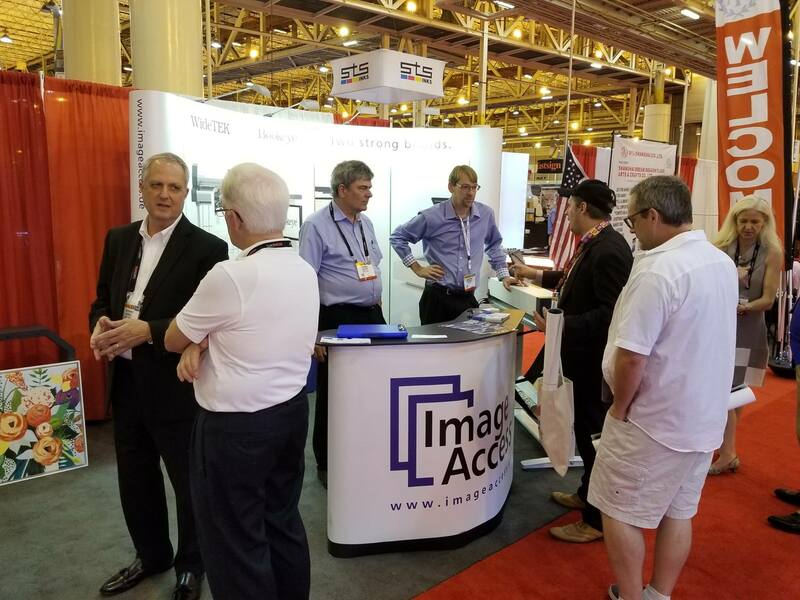 Image Access LP, which covers North American and Latin American operations, exhibited at SGIA in New Orleans October 10-12. 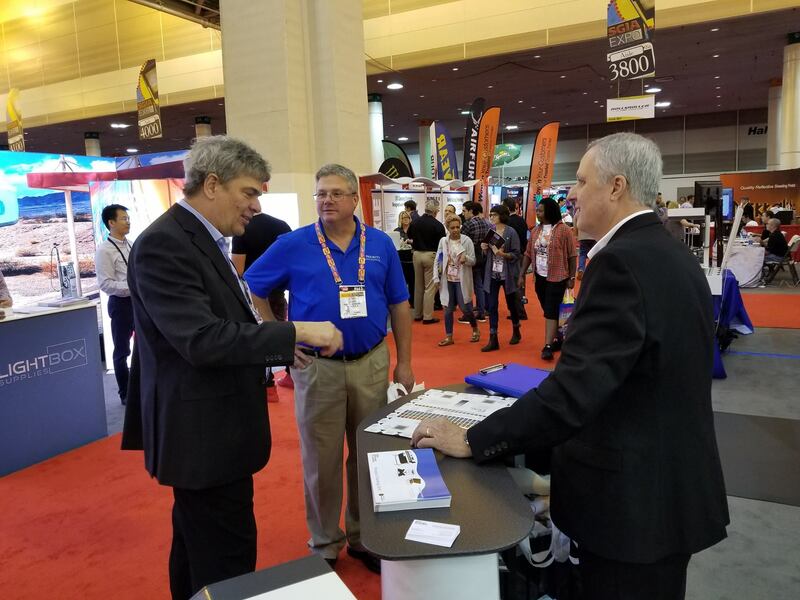 Thomas Ingendoh, founder and CEO of Image Access GmbH and President of LP operations, made the trip from Germany to join Steve Andrikut, North American Sales Director, Manuel Paradis, Latin American Sales Director, and Jonathan Wenninger, North American Product Manager. 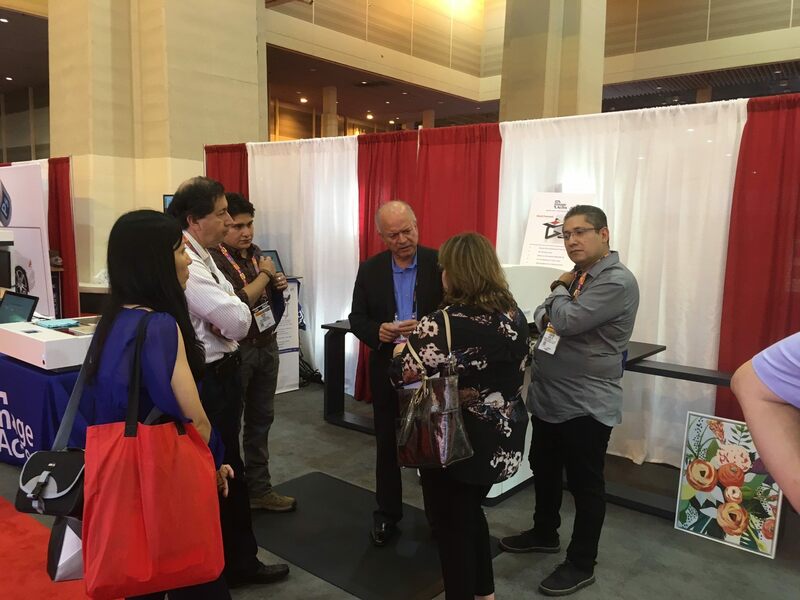 SGIA has become the premier technology event in the United States for wide format, grand format and specialty product print and imaging solutions and attracts attendees and exhibitor companies from all over the world. 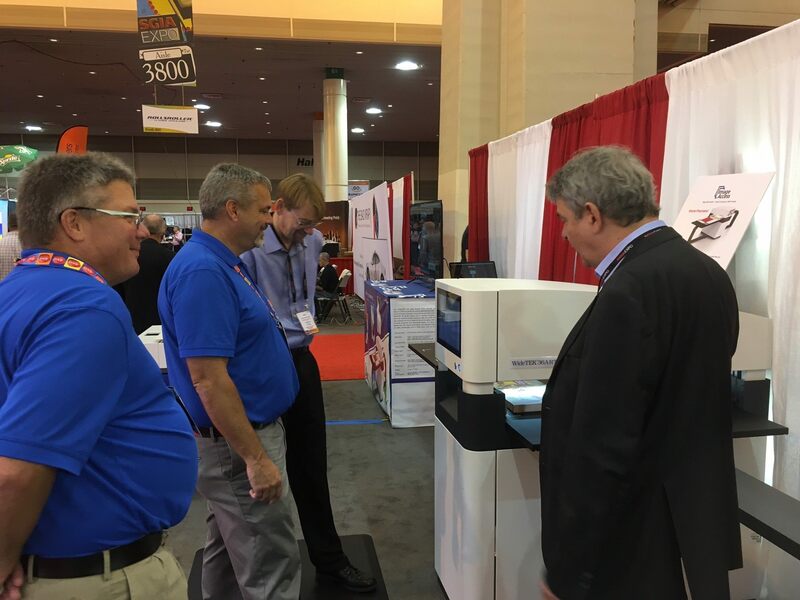 Image Access has exhibited since 2011, witnessing the annual growth firsthand. 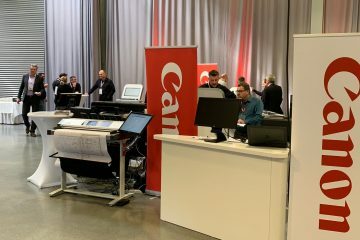 The new WideTEK 36ART fine art scanner was the highlight product in the booth, joined by the highly successful and enhanced WideTEK 25, WideTEK 36 and Bookeye 4 V3 Kiosk. 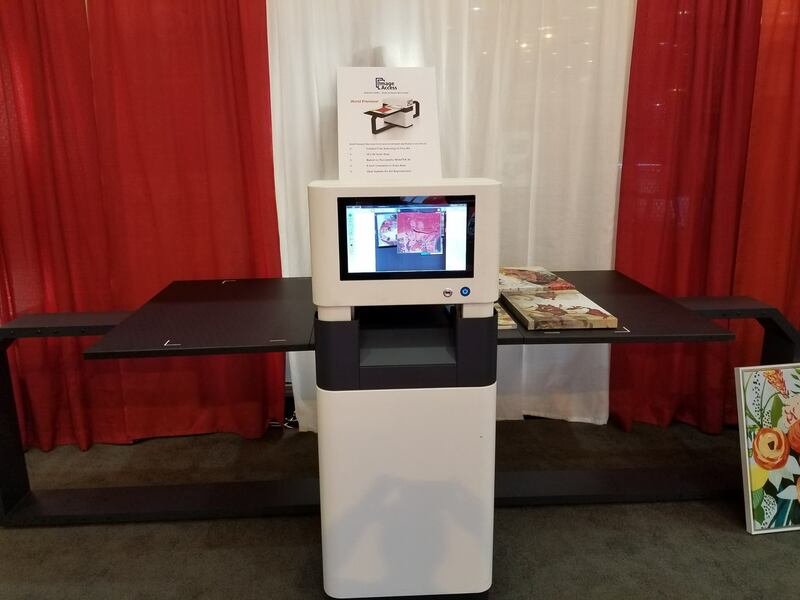 Image Access also was a Bronze Sponsor of the Reprographic Services Association reception Thursday evening, Vendor Sponsor of the ReproMAX luncheon during their meeting schedule and a Vendor Sponsor of the APDSP’s first conference. 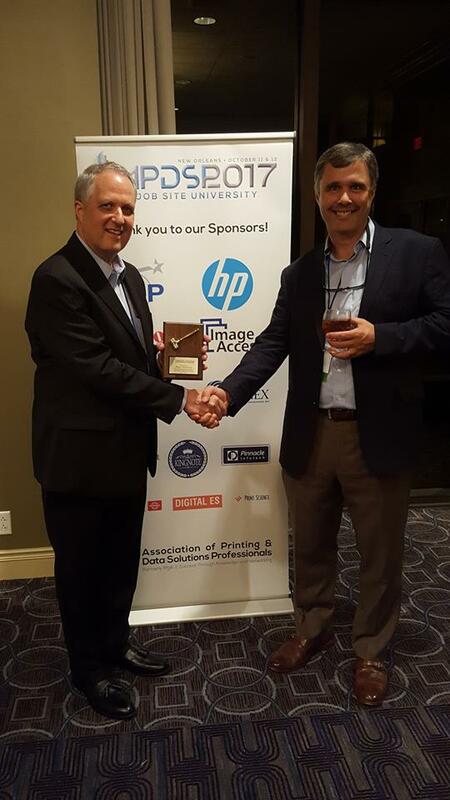 Steve Andrikut received the Board of Directors Service Award from the APDSP for Outstanding Contributions as Vendor Board Member 2015-2017 during his two-year term as the outgoing vendor member of the board of directors.